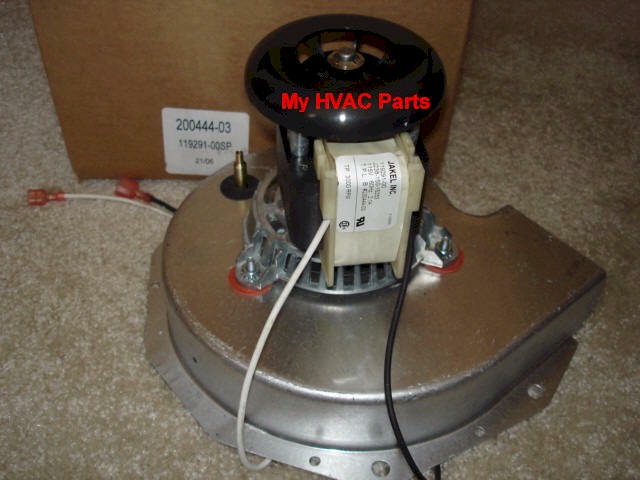 Identify YOUR Furnace Draft Inducer For Amana, Armstrong, Coleman, Fedders, Goodman, Heil, Intercity, Janitrol, Lennox, Magic Chef, Miller, Franklin, Nordyne, Rheem, Rudd, Trane, York and Williamson Furnaces. 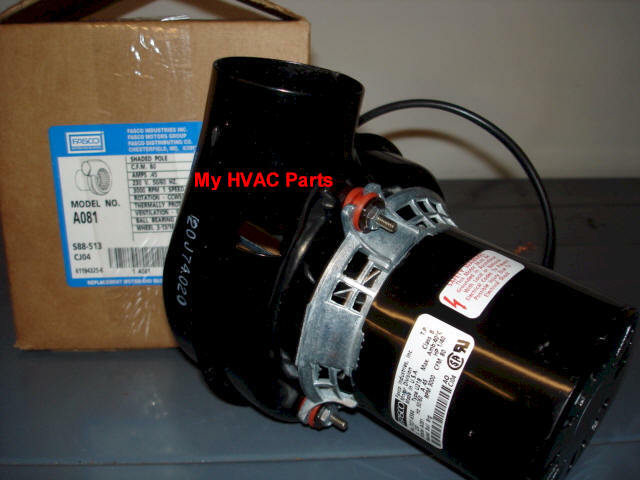 For Amana, Armstrong, Coleman, Fedders, Goodman, Heil, Intercity, Janitrol, Lennox, Magic Chef, Miller, Franklin, Nordyne, Rheem, Rudd, Trane, York and Williamson Furnaces. 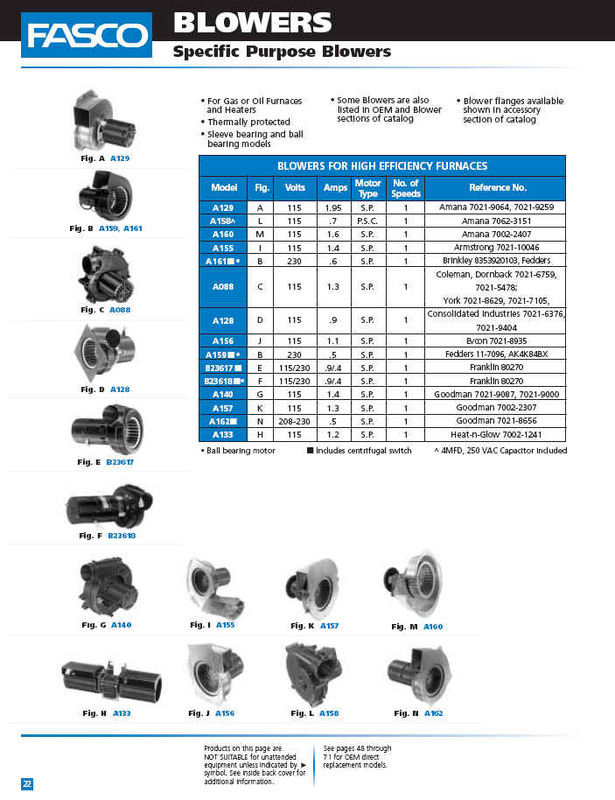 Please use the replacement numbers and/or the MFG # below on each chart to find your Inducer. 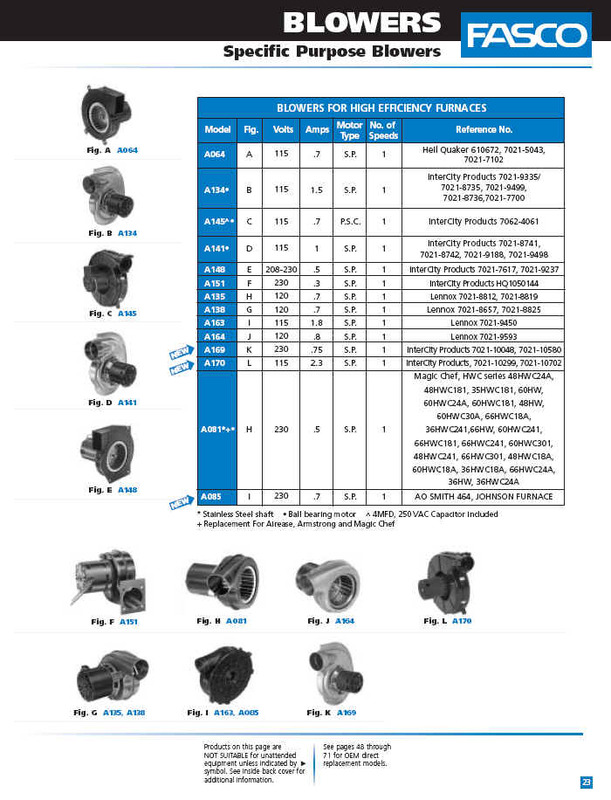 If you still can't find what you need, please give us a call with the Equipment Brand, Model, Serial and any part numbers you have. 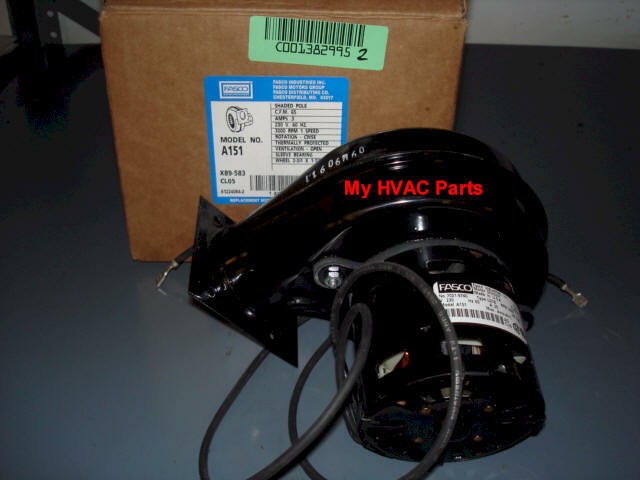 We will then call the Equipment manufacturer for you to locate the correct part. NOTE: COMFORTMAKER, TEMPSTAR, INTER CITY, HEIL USE MANY OF THE SAME INDUCERS. 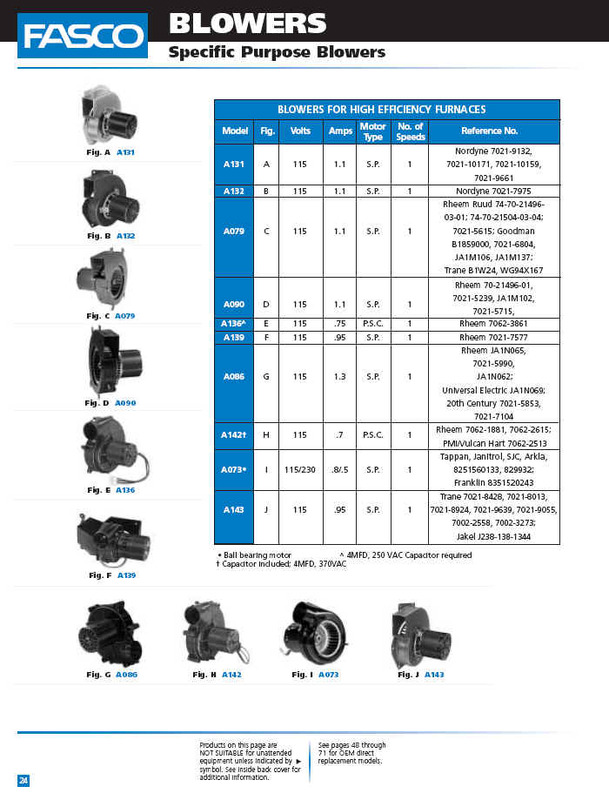 IF YOU DON'T SEE YOUR INDUCER, TRY LOOKING AT ONE OF THE OTHER BRANDS. 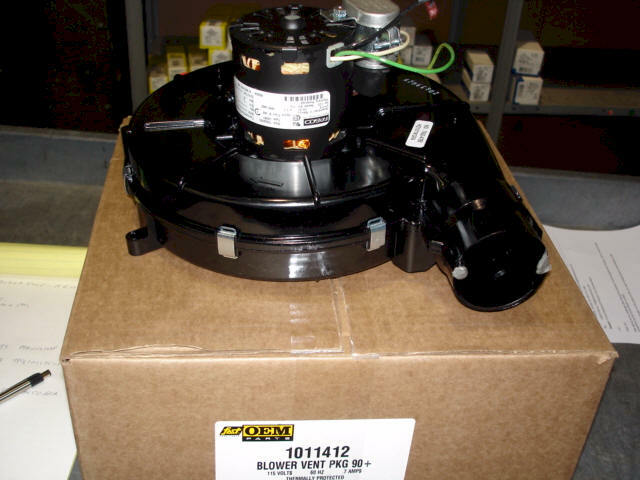 A137 Fasco York Furnace Draft Inducer S1-02425057000 York part number: S1-02425057000 Fasco Inducer Model number: A137 Fasco part numbers: 7062-2442, 7062-3484, 115V Single Speed 0.7 Amp Used in York model number P2UDD12N07601C and others. 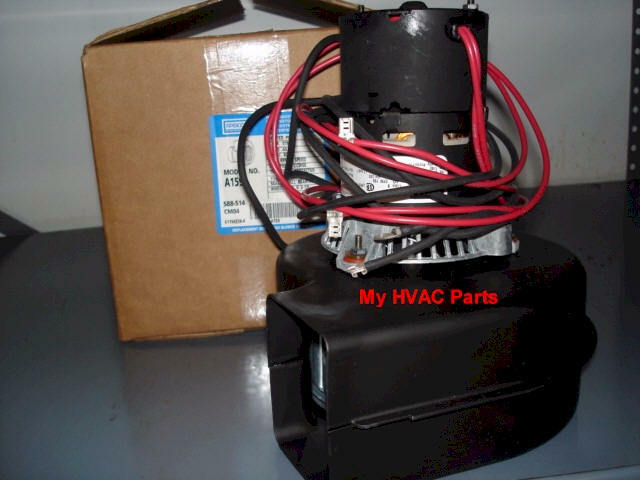 Rheem/Ruud RGEA/UGEA Upflow 90% Condensing Furnace Inducer There are (2) different versions used on this furnace. Please read the product descriptions carefully before ordering. 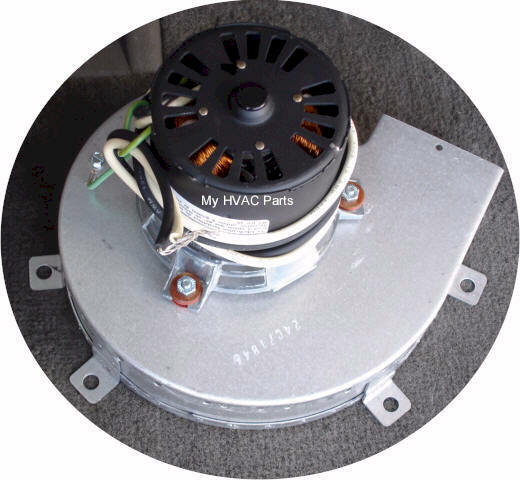 As used in Model GNI100A016AIN and other sizes of this furnace. Color of the housing is black. 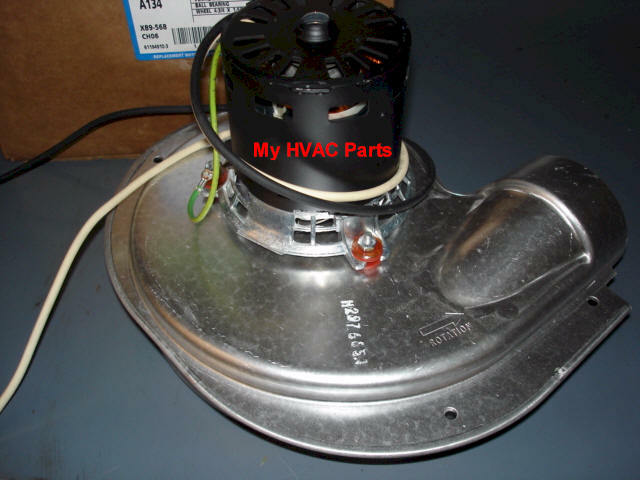 Shot is of the inducer in a furnace. 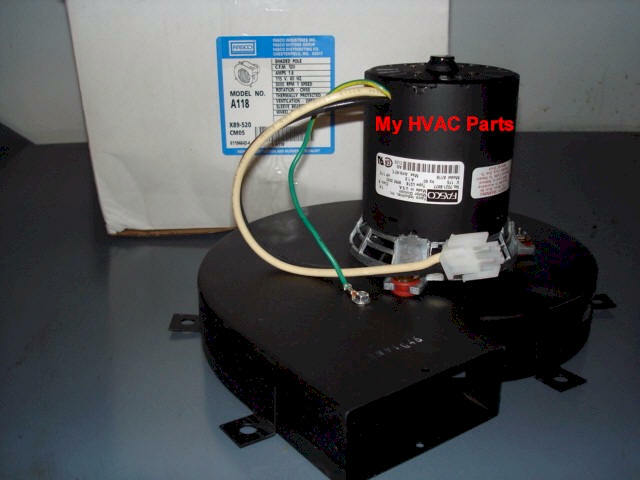 (our part comes new from the Comfortmaker factory. As used in NUGK, NULK and others. Also may used in Tempstar, Heil, International Comfort Products, Snyder General. As used in NTC7, NDC7 and others. 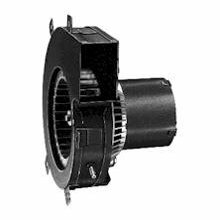 Fasco 7002-3071, 115 Volt, 3,100 R.P.M. 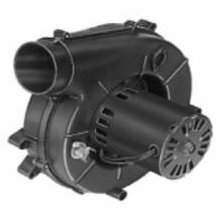 As used in Model NDN5100BHC2 and others such as Tempstar, Heil, Inter City, International Comfort Products, Snyder General and others. 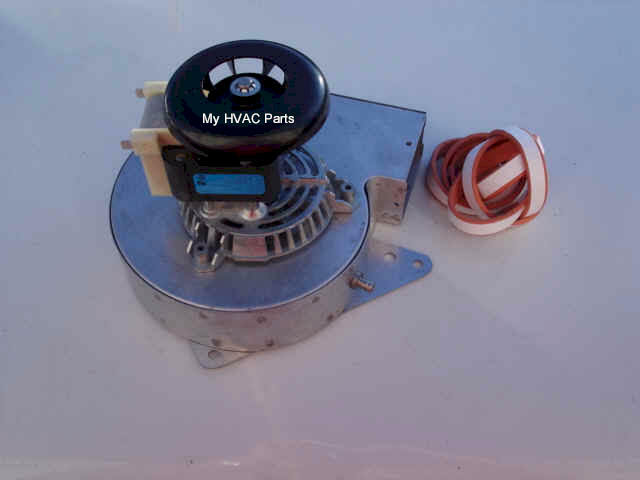 As used in Package Units PGAA, PGAC, PGAD, some PGBO and others. Fasco 7021-19237, 1/50 th H.P. 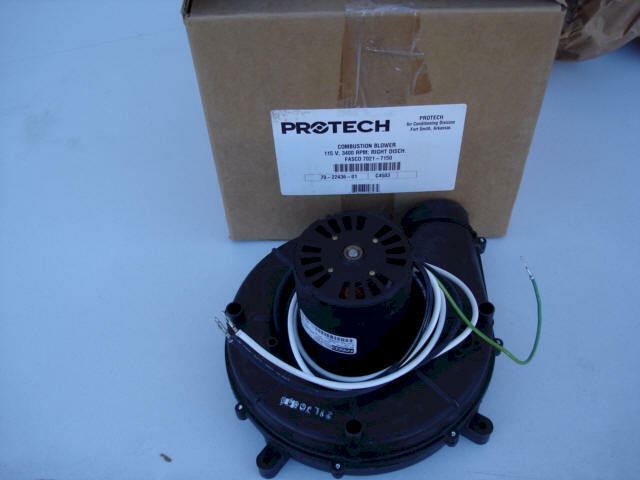 Draft Inducer for Tempstar 90% furnace. Direct from Tempstar. Order online and SAVE the service charges! 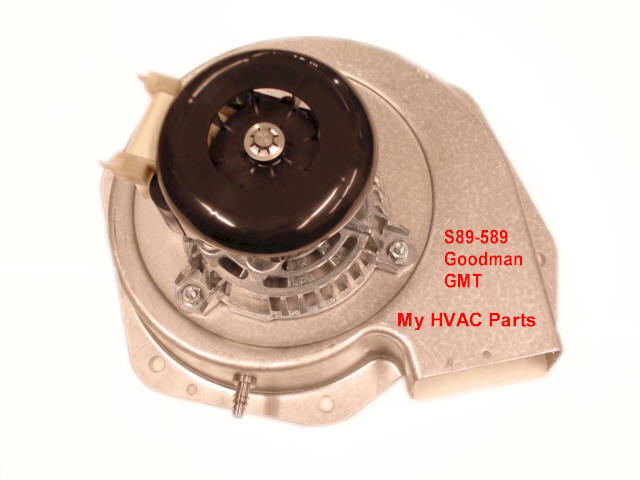 This kit includes a motor, cover plate, cover plate gasket, shaft seal and grommet. This kit is used in the following Carrier/Bryant Furnace Series. This Inducer does not come with a gasket. You have to make your own gasket with R.T.V. Sealant which can be found below. 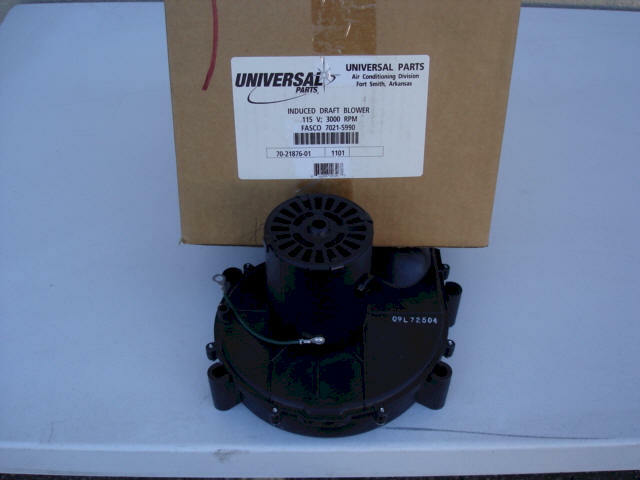 As found in old package unit Models RCG-UGC, REG-UEG, RGG,UGG. First produced in 1989. 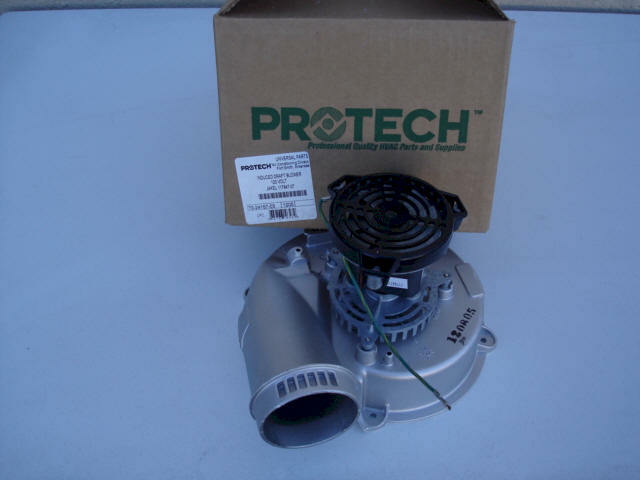 This kit comes from Protech and is made especially for these Rheem-Ruud units. 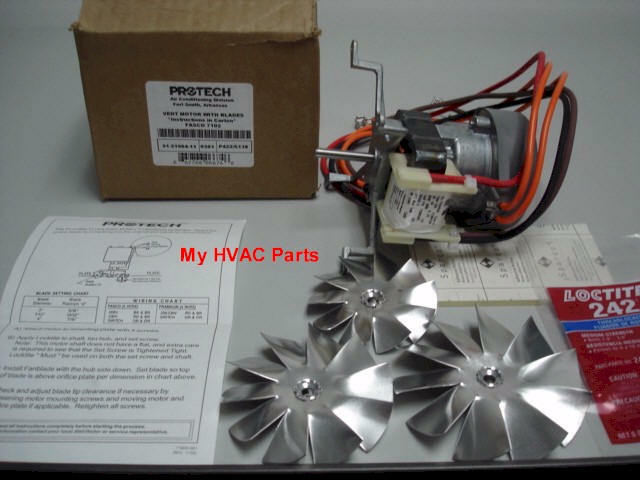 Kit contains a new motor, assortment of (3) blower fans ( all 3 have been used in different production runs, choose the one you need by comparing to your existing fan ), Loctite sealant and instructions from Rheem-Ruud. 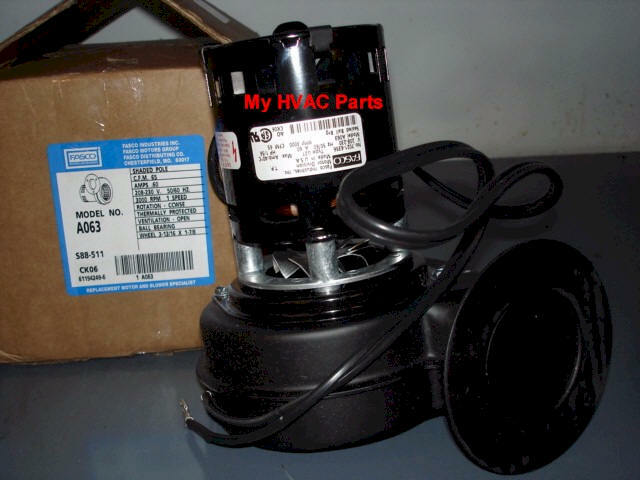 Armstrong-Air Ease-Magic Chef 90% Furnace Draft Inducer. 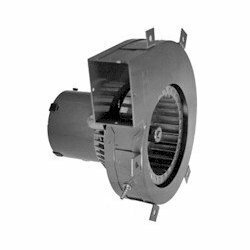 Used in Model (R and U) GEA 04E/04N, 06E/06N, 07E/07N and 10E/10N. 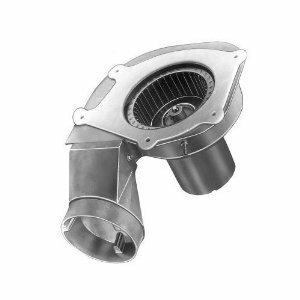 Will not fit Models GEA 12E/12N or GEA - 10 ECAF. See GEA 12E/12N and GEA-10 ECAF. 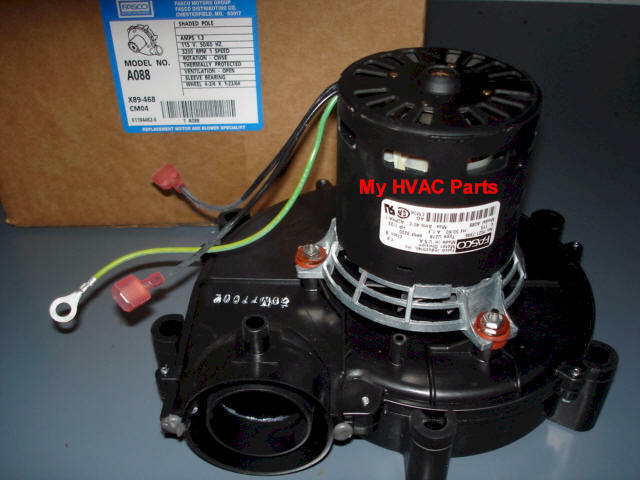 Includes housing, motor and gasket if required. 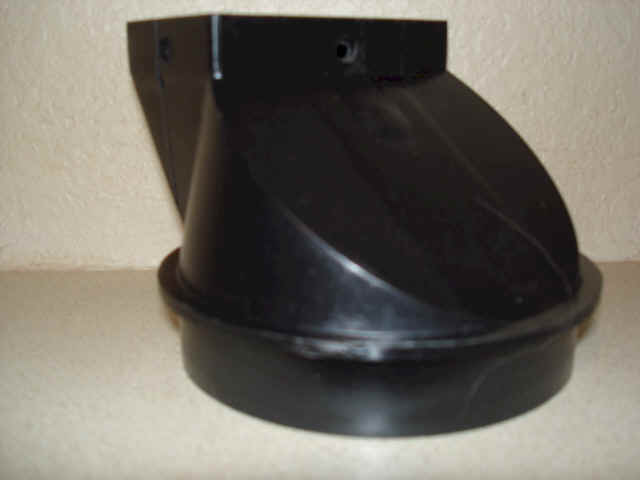 As used in Model 867.768031 and other sizes of this furnace. Replaces Magic Chef, HWC series. 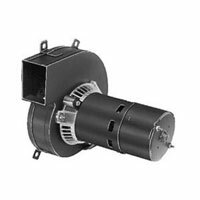 Note: X89-571 has a PSC motor and includes a capacitor. 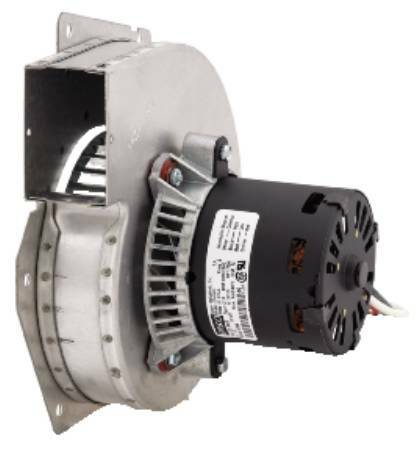 Trane XE 80 Single Stage Heat Gas Furnace Draft Inducer. 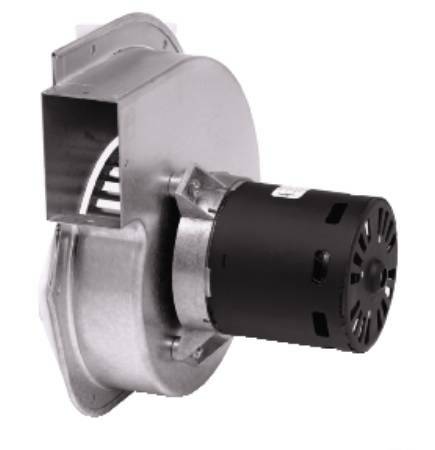 Also replaces Trane BLW01437, BLW0473 & BLW01312. 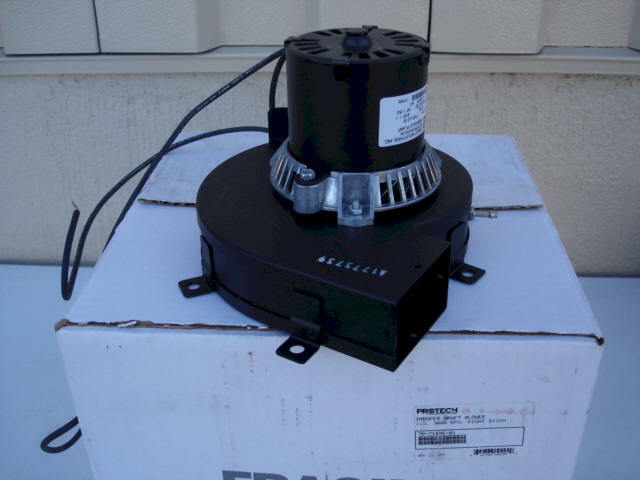 This is a Fasco replacement Inducer. 1/50th H.P., 115 volt, 3,000 R.P.M. 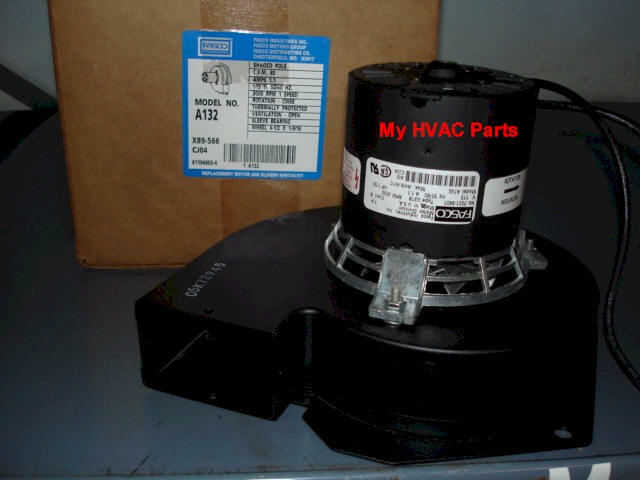 Trane and American Standard 80% Furnace 2 Stage Draft Inducer BLW00362. 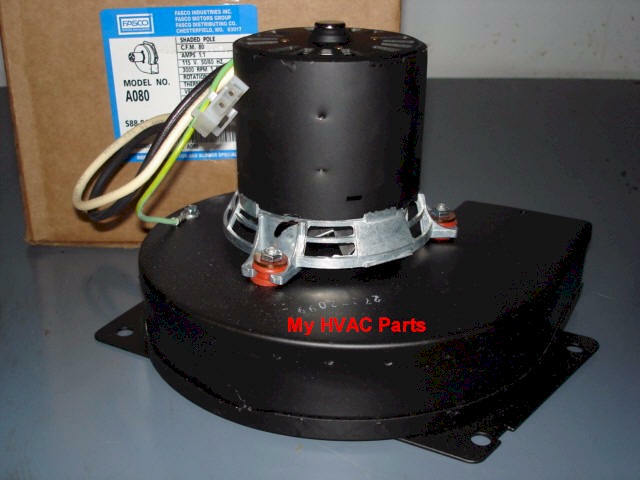 See list of Furnaces this will fit below. 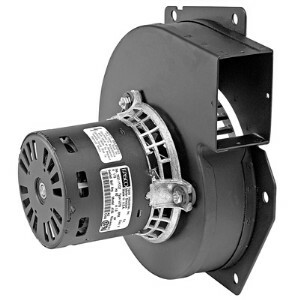 This is a Fasco replacement Inducer. 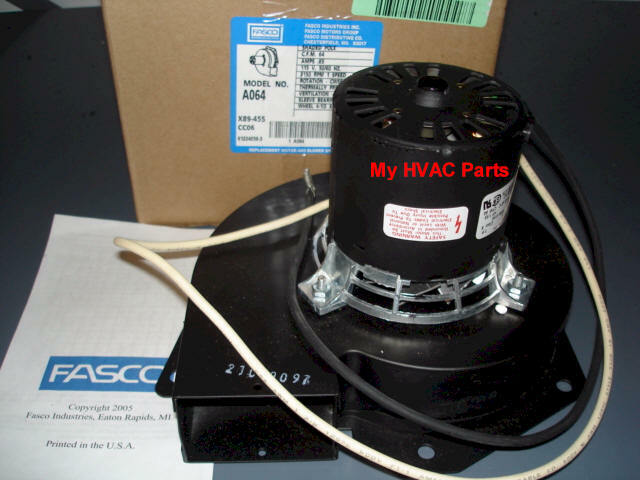 The Fasco unit you will recieve is a functional replacement for the inducer that is in the photo. The costs for the factory unit in the photo is now over $425.00! As used in NUG9, NTG9, NTGM and others. 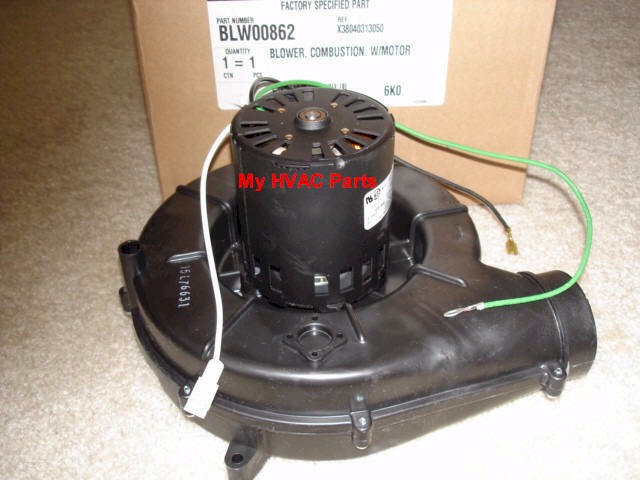 Trane and American Standard BLW01321 80% (2) stage Furnace Inducer. 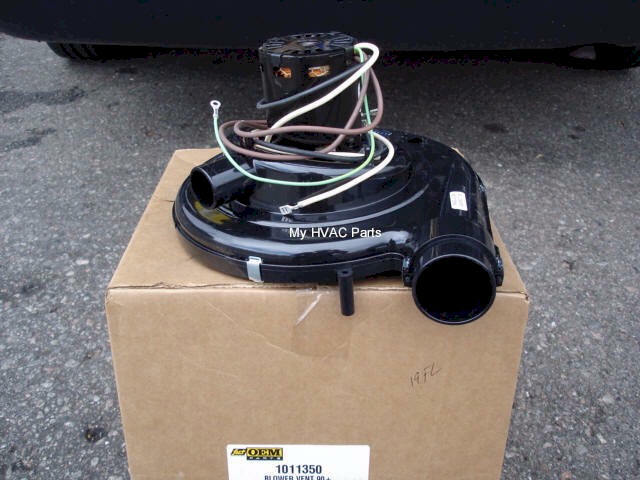 This is a Fasco A194 replacement Inducer. 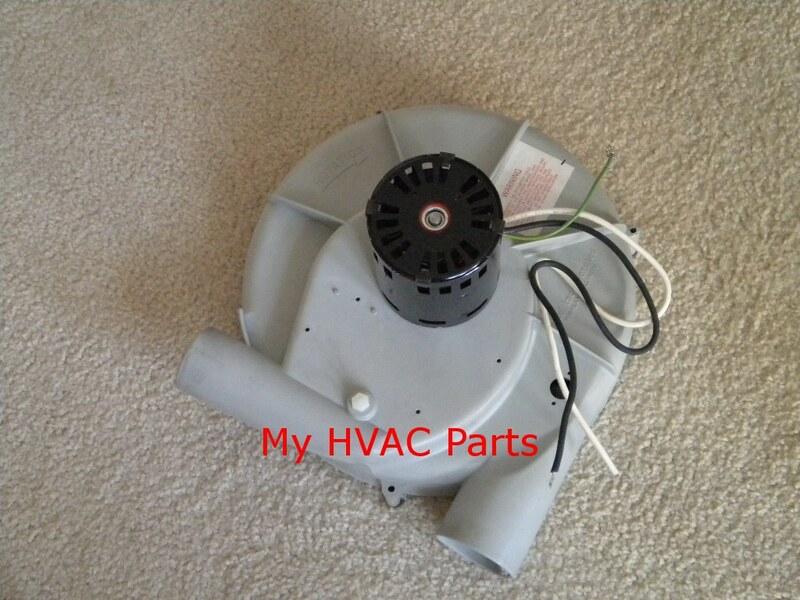 Trane and American Standard 90% Furnace Inducer. 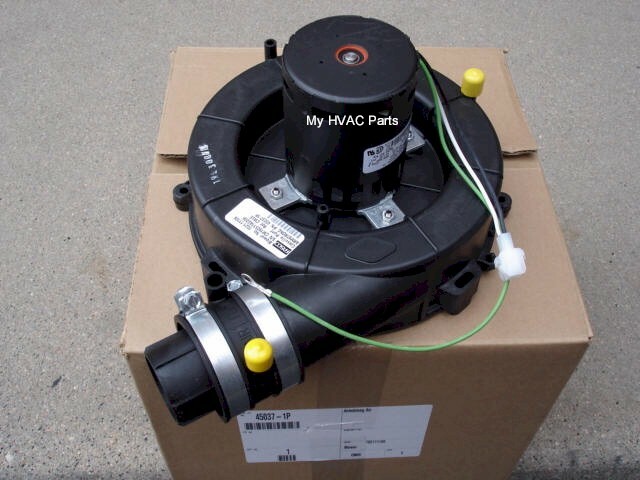 This is a Fasco A196 replacement Inducer. As used in 39 Models. 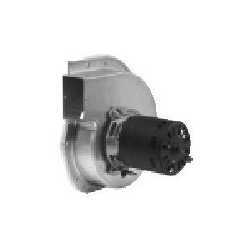 Replaces York 026-32067-000, 026-32067-700; Fasco A222, 7021-7481, 7021-8317. As found in Model PCMULD 16N095B and others. 115 Volt, 3,000 R.P.M., 1.05 Amps. 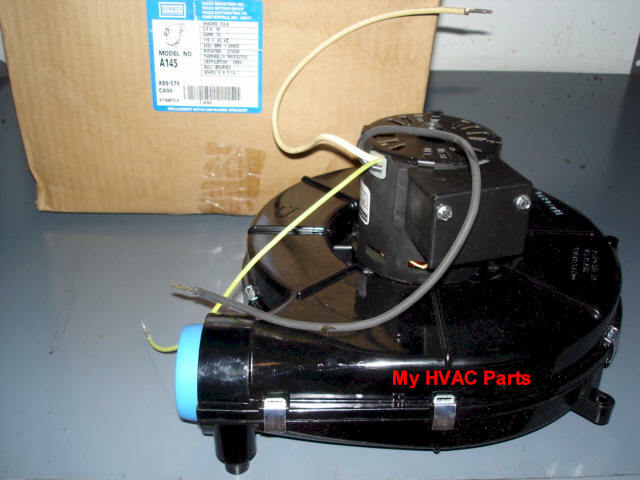 Your existing Inducer may have (2) extra brown wires that this motor does not have. This is because the manufacturer used to use a P.S.C. 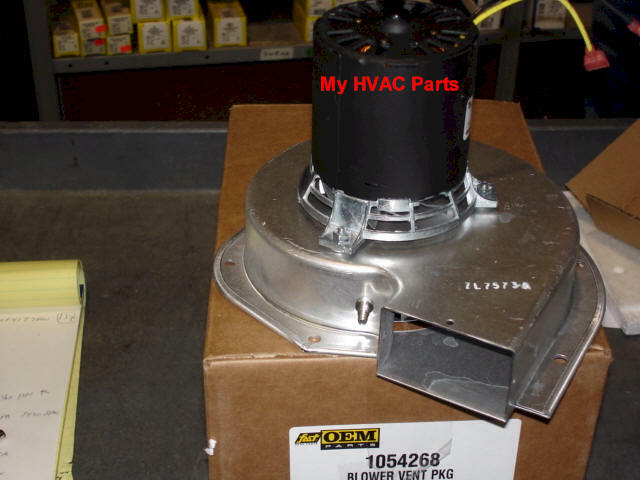 (permadent split capacitor) motor which required a 5 M.F.D. x 370 volt capacitor. Capacitors are not required for MOST Inducers. The manufacturer has discontinued the use of a P.S.C. 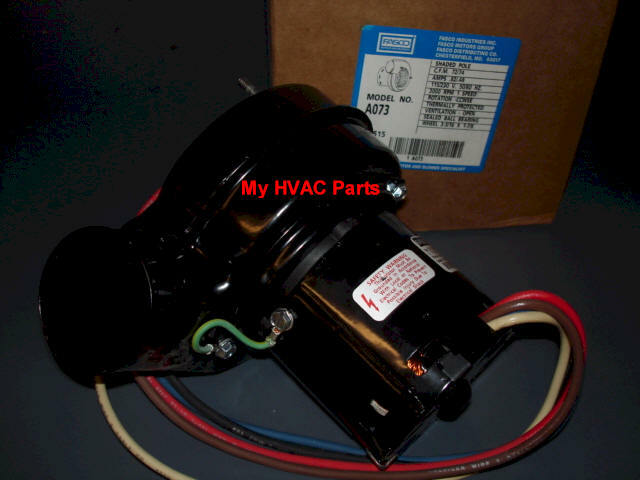 motor so the Inducer pictured is NOT a P.S.C. motor. 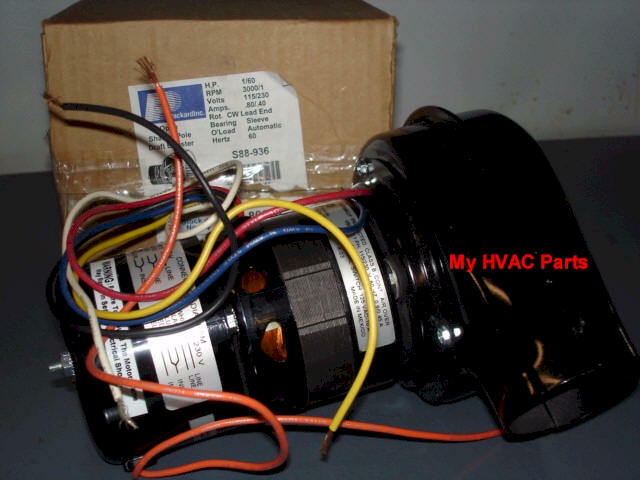 You will just need to discontinue using the (2) brown wires by removing them or taping them off in some safe manner and securing them safely as they won't be used on the new Inducer. If you are unsure of how to do this, please calla H.V.A.C. Service company to do this for you. 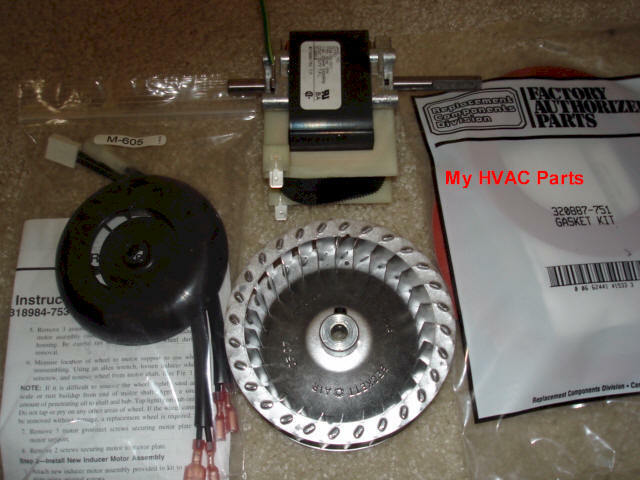 Our kit comes with the blower wheel, unlike most of our competitors. 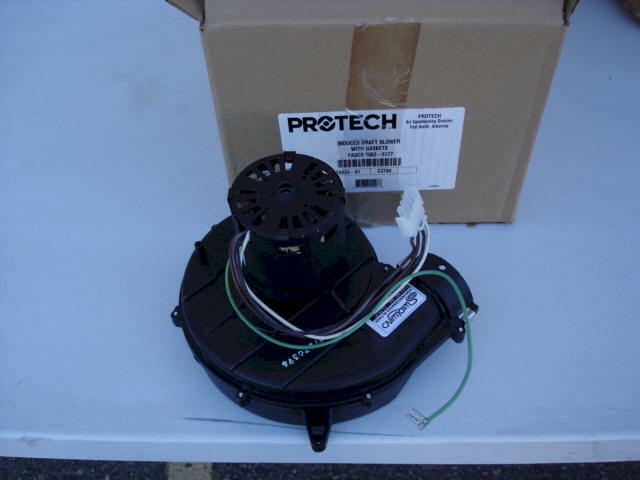 The reason we include the wheel, is that some Carrier equipment will require changing the wheel and we want YOUR installation to go as smooth as possible! 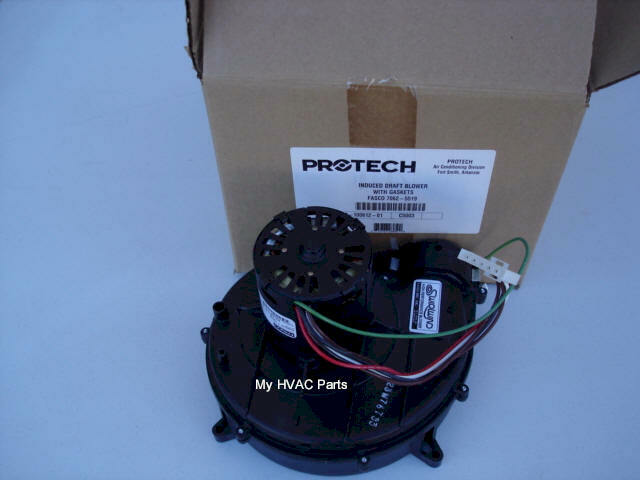 This kit includes a new inducer motor, blower wheel, gasket set, cooling fan, hardware and instructions from Carrier. SEE LIST OF EQUIPMENT THIS FITS AT BOTTOM OF PAGE. 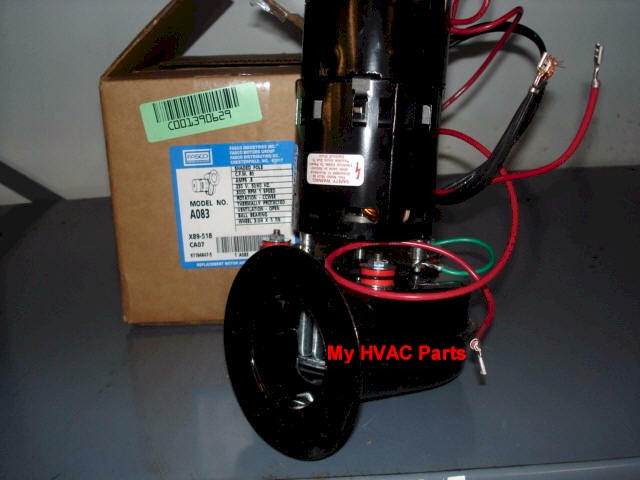 As used in most older GMP Furnace Models. 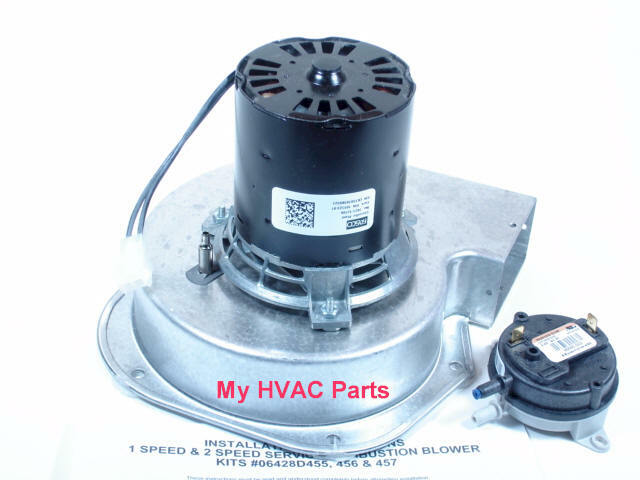 Check the black connector just above your Draft Inducer that connects the inducer to your flue pipe connector! We have found the black plastic chimney connector cracked on units we have serviced. 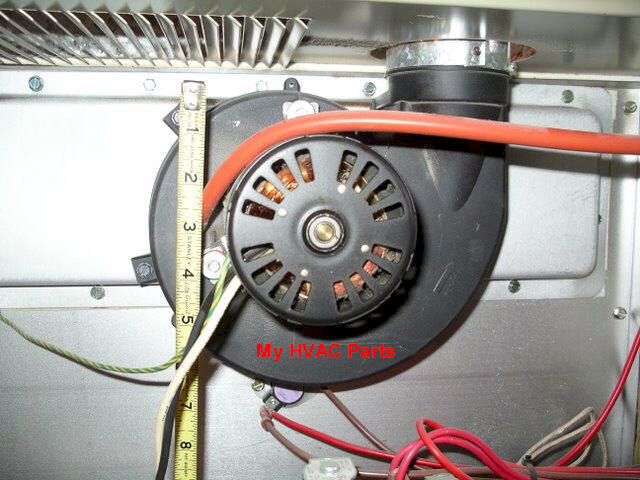 This can lead to carbon monoxide being emitted into the space where the furnace is located! Replaces Janitrol #8251560133 and #829932. 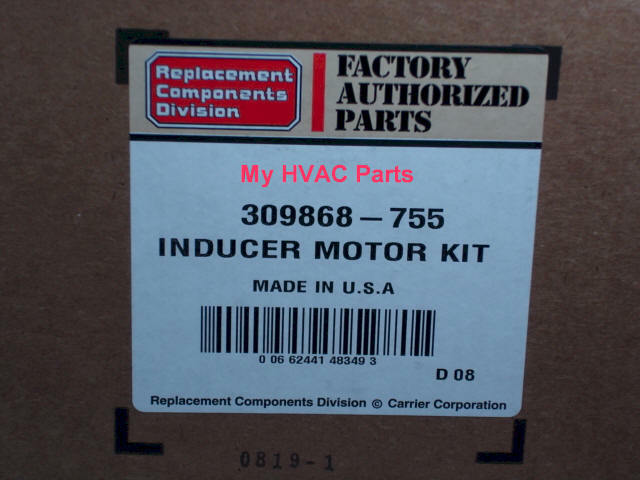 This Inducer kit is from Magic Chef for 80% Series in these prefix Model numbers CG, G1N, GCH, GCJ, GUJ, GHJ, RGC, RGH, RGU IT IS NOT FOR EG series. We can not get the Inducer for the EG series until further notice! 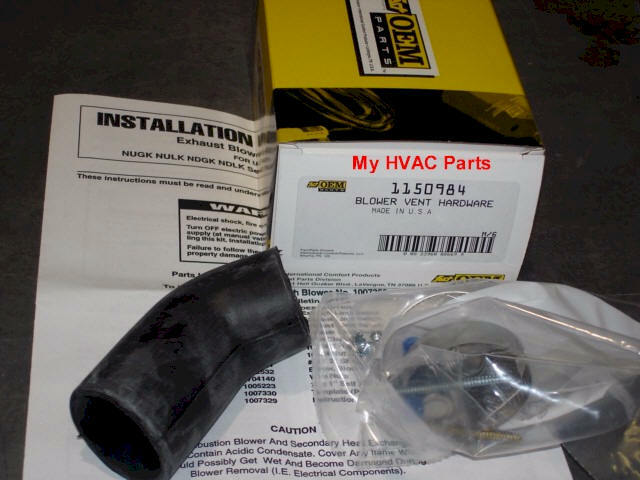 It comes as a kit with a new pressure switch, gasket, instructions and is the only manufacturer approved replacement. 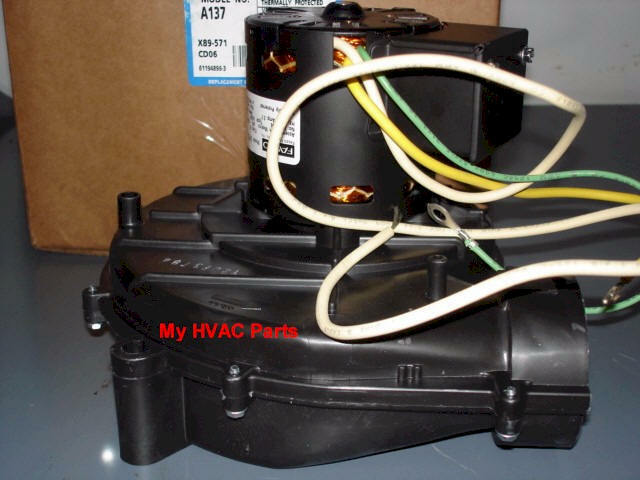 The services of an HVAC Service Company may be needed depending on your qualifications. 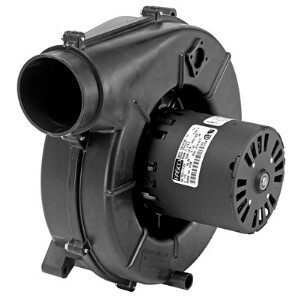 These inducers are ONLY meant for furnaces that use a metal flue pipe. 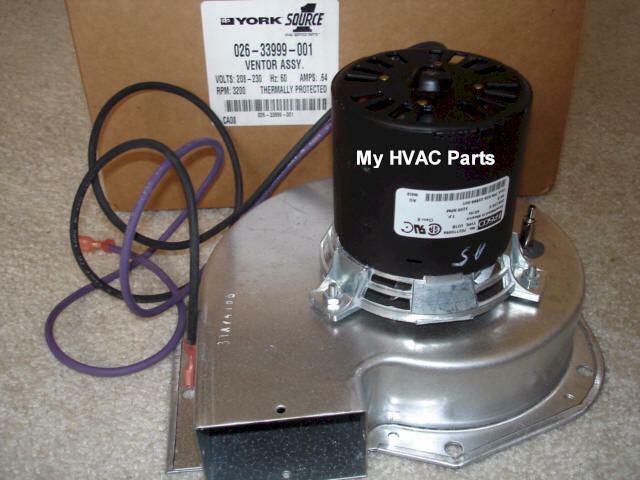 If your furnace has P.V.C. flue pipes, this is NOT the correct inducer to order! 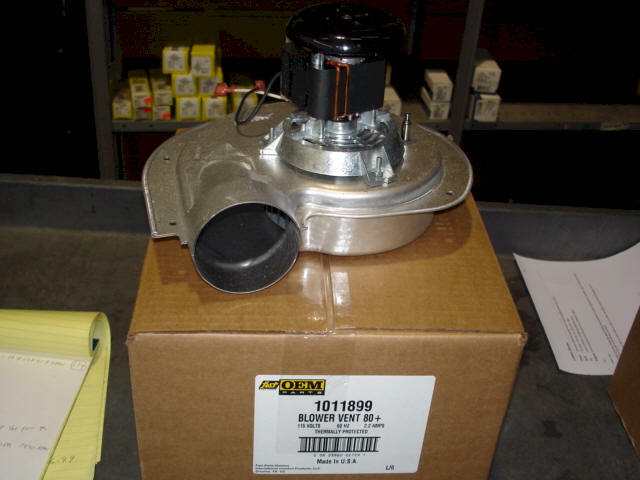 Replaces Franklin Pt # AK2H199AX, Pt # BX80294, Pt # 80813 and Miller Pt # 303875. 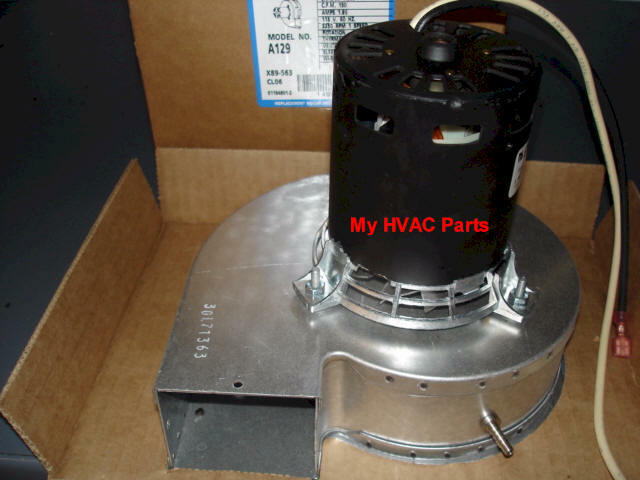 Rheem/Ruud RRGF/URGF Package Unit Draft Inducer. 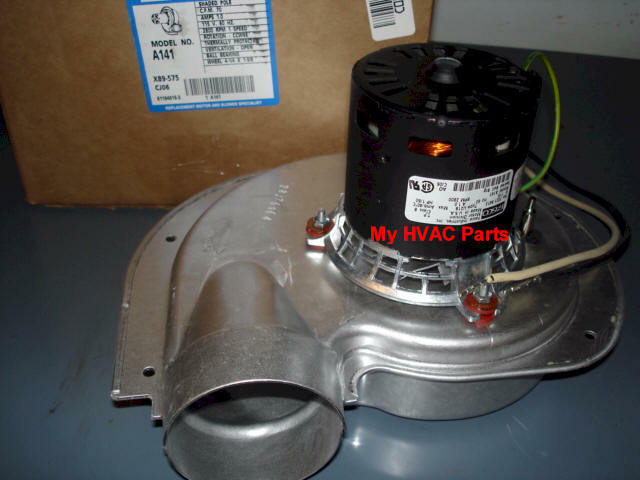 Rheem/Ruud Inducer Pt # 70-42241-01 Used in Model (R and U) RGF 2501 50 CKR Package Units of various sizes. 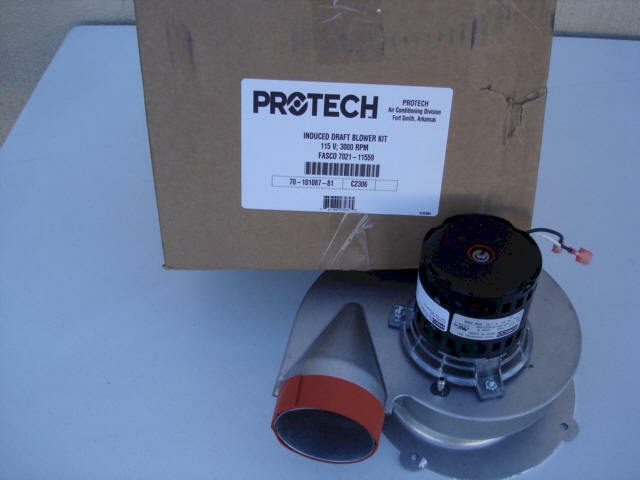 Inducer adapter kit for use with existing brown inducers only. Note: X89-520 leads may require some modification. 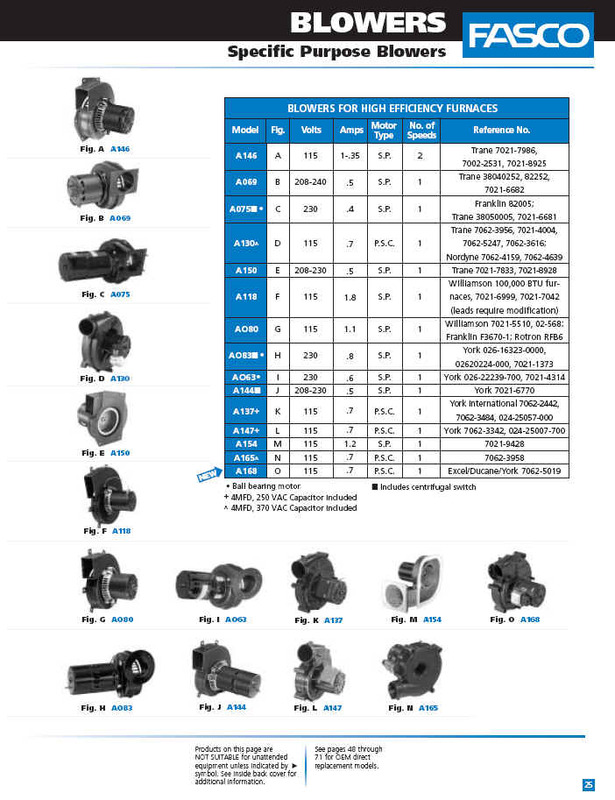 IF YOU STILL HAVEN'T FOUND YOUR INDUCER ASSEMBLY, PLEASE CONSULT THE FASCO BROCHURES BELOW. 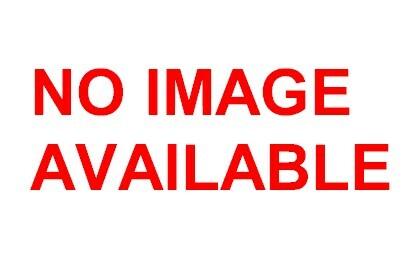 AS YOU WILL SEE THERE ARE SCORES OF THESE ASSEMBLIES. IF YOU FIND WHAT YOU NEED BELOW BUT NOT ON OUR ORDERING PAGE AT THE TOP, PLEASE CALL Mon-Fri 8:00 A.M.-4:30 P.M. Mountain Time at 720-323-0595 AND WE WILL TRY TO ORDER EXACTLY WHAT YOU NEED.